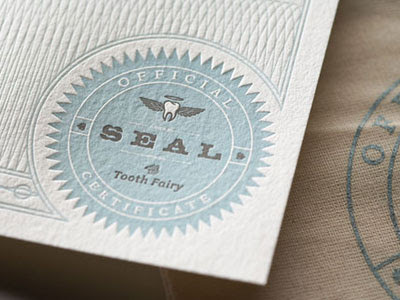 Tiffany Zajas Photography: the tooth fairy kit. 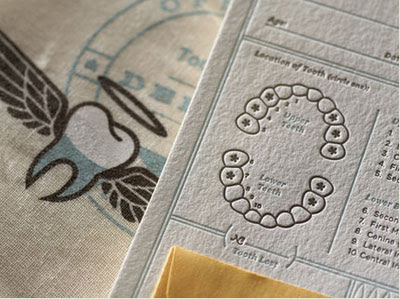 I recently came across this adorable tooth fairy kit via papercrave. It is just adorable. 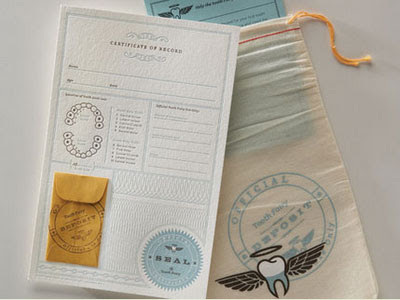 It comes complete with an official Certificate of Record to keep track of your tooth transitions with your local fair, and a reusable silkscreened cloth deposit bag for all teeth to be placed in.